As any expecting parent is probably aware (and if not, you really should be! ), the minefield of information, product choice, reviews and opinions available to us whilst getting ready for the arrival of your first child is mind blowing! From pushchairs, strollers, cribs and baby clothes just to name a few, as well as the all-important transportation of your baby in a vehicle. From the minute you leave the hospital right up until your child is 11+ years old, you are going to need to secure them safely and properly with an infant car seat if you plan on driving anywhere with them. As the answer is yes, most people will be travelling with their new born baby in a car, we thought it might be a good idea to offer a little advice on buying your first baby car seat. 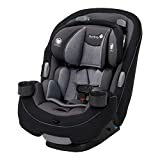 When you start out your quest for buying your first baby car seat, there are a number of factors that you will want to consider. We all want the best baby car seat money can buy, but in reality, everyone has their different requirements and budgets alike. One thing that you can be sure of is that if you are purchasing from a reputable online or in store retailer then you can be sure the seats they stock conform to the latest safety regulations as set out by your local highways governing body and will have been rigorously crash tested to ensure its safe and robust. Despite this, a babies’ car seat is only going to perform at its best if it’s been correctly installed into the car! Make sure to follow the manufacturer’s instructions or seek help from the store if you are in any way unsure. Here are the key safety factors to look out for……. Most of us love getting a super cheap deal however, saving a few bucks on your new born babies’ car seat isn’t what our objective is here and for sure isn’t one of those occasions where you are looking to get a “bargain”. That too goes for buying 2nd hand which isn’t recommended unless you REALLY know the condition of the seat. Buying new not only protects your infant but also projects you from a legal stand point if anything was to malfunction. The Base Unit – How securely does it connect to your specific make and model of car? Can it make use of your vehicles ISOFIX restraint points if it has them? – this is the most secure way to fit a child seat into a car. 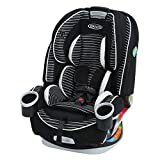 Side impact protection – MOST baby car seats will have this feature although it varies as to what extent depending on the manufacturer and not all are high quality. We think it’s important to get one with high impact tensioning or one with a side impact shock absorber for that extra peace of mind and protection. Head and neck support – Probably one of the most important features in any child car seat, especially those for new born babies. Most will have some form of attachment to allow for growth but not all, so make sure you check for this when making your decision. Does the seat fit in your car? This may seem like an obvious question but not all seats will fit every make and model of car out there. An infant’s car seat is only safe if its installed correctly in the vehicle so if in doubt, return it to the retailer or seek professional assistance in fitting it to your car. Picking the right seat for your new born child can be a daunting task and actually travelling with them for the first time can be scary. However, if you follow the advice given, you should have no problem in making a great, well informed decision. Just remember to look at the dimensions of your vehicle and compare them to the many online review sites out there today and you will be able to source the one that right for you and your new family. Can’t afford a car seat? Buy a car seat now, pay later.